One of my favorite dish which is close to my heart- Chicken Ularthiyathu. 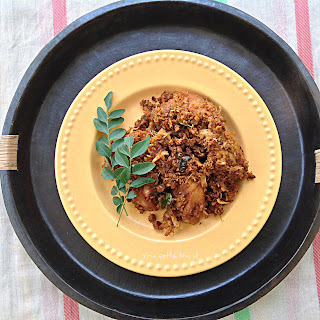 Chicken slow cooked in crushed onion, coconut and other spice mix. 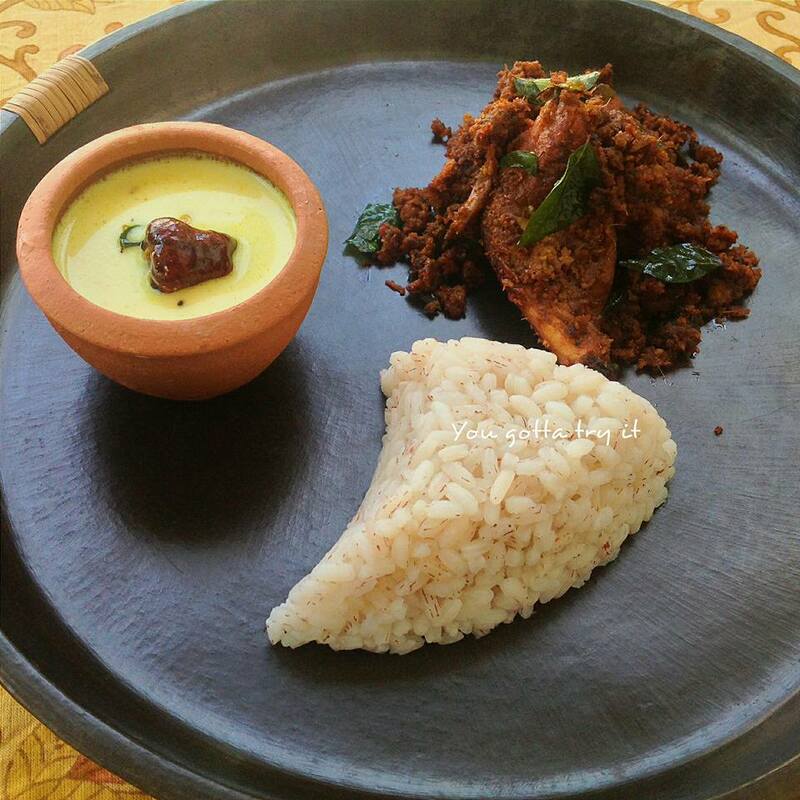 Kerala is known as the land of spices and most of the spices used in the dish makes it very different from the normal chicken dishes. As usual I love having a special chicken dish with a simple Moru curry and red rice. Marinate chicken with all the masalas mention in marinade and keep it overnight in refrigerator or keep the marinade for atleast two hours in refrigerator. In a blender, crush all the ingredients. Make sure you don’t make it in to a fine paste. Coconut and onion should be crushed well along with other masala and spices. Mix the crushed masala with the chicken. Heat oil in a heavy bottom pan (Use a non stick pan), add curry leaves and chicken. Keep the flame in low. Stir well and keep it closed for 5 mins. Water will start coming out from chicken. Continue the same process in every 5 mins till water gets completely dry and oil start appearing. Once the water gets completely dried, take out the lid. Add 2-3 tbsp oil and mix well. Fry till you hear the spluttering sound of coconut. Chicken should be dark brown in color and coconut masala should become dry. This will take almost 1.5 hours. Add more garam masala and chilli powder according to your taste buds.